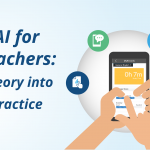 Join Kevin McClure at TESOL 2019 for the "Artificial Intelligence in the Real World" presentation. 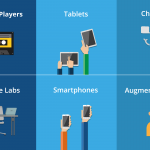 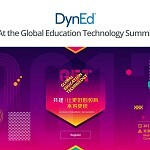 In this seminar McClure will review the fundamental concepts and tools of artificial intelligence and how DynEd has applied them in blended-learning settings. 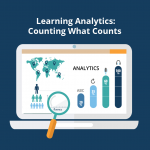 He will show you how to get predictable, optimized and measurable results for English Language Learners. 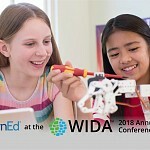 The "Artificial Intelligence in the Real World" seminar will be held on Friday, March 15th from 9:30 a.m. to 10:15 a.m. in Rm A407 of the Georgia World Congress Center. 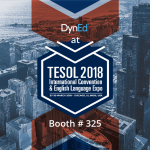 DynEd at TESOL 2018 in Chicago! 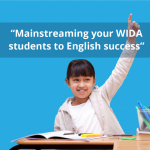 "Mainstreaming your WIDA Students to English success"